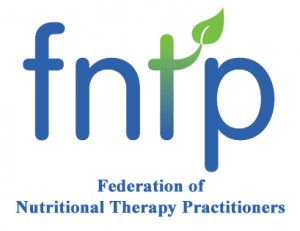 I am a member of The Federation of Nutritional Therapy Practitioners. I am trained as a Nutrition Advisor. As such, I provide advice in order that the individual or group may improve their health through appropriate diet and lifestyle. My recommendations may include dietary modifications, including the use of exclusion diets, and guidance on methods to support digestion and absorption of nutrients. Naturopathic nutrition is an holistic therapy that treats everyone as an individual, taking into account the physical, mental, emotional and spiritual wellbeing of the whole person, when assessing health problems. Naturopathic nutrition recognises food selection and preparation as a healing art that seeks to address imbalances in the body. By creating the most favourable conditions to stimulate and enhance the body’s natural healing powers through diet, lifestyle and possibly supplementation. We aim to seek out and advise on ways to remove or reduce the cause of disease, rather than simply suppressing the symptoms. It would be helpful if BEFORE A CONSULTATION you fill in a health questionnaire and food dairy. This helps me to build a picture of your lifestyle, medical history and any concerns you have about your health. DURING THE CONSULTATION we will discuss your aims and work together to create a nutritional programme that suits your needs, preferences and lifestyle. I prefer clients to book for their first two consultations together to ensure that there is continuity and proper support, for optimal success. 2 sessions booked and paid for together at the outset £95. Food intolerances can cause digestive problems, low mood, bloating, weight gain and intolerance test can often bring these issues to light.